Two INFINITI models have been named to the Kelley Blue Book 5-Year Cost to Own Awards for 2019. The INFINITI QX60 was honored for topping the Luxury Mid-Size SUV / Crossover segment and the INFINITI QX80 (pictured above) won in the Luxury Full-Size SUV / Crossover segment. These awards are presented to the vehicles with the lowest projected ownership costs. This data includes depreciation, fuel efficiency, insurance rates, finance fees, maintenance/ repair costs, and expected state fees. The awards are geared toward helping shoppers make an educated decision regarding the value of vehicles they are interested in purchasing. The INFINITI QX60 mid-size crossover SUV has an amazing blend of luxury and practicality. The third row of seating offers great convenience and flexibility in the spacious interior. The QX60 offers so many exciting innovations including Around View Monitor with Moving Object Detection, Blind Spot Intervention, Intelligent Cruise Control, and Lane Departure Warning. One super innovation for families especially is the Rear Door Alert. This feature is standard on all QX60 models and aims to remind drivers of items that may have been forgotten in the backseat. INFINITI‘s flagship SUV is the gorgeous and spacious QX80. The exterior design is stylish and substantial, while the interior is refined and luxurious. You can count on the QX80 for the best of the best in both materials and craftsmanship. Handling on this full-size SUV is premium thanks to a variety of features that provide the driver with total control and confidence. One of those available features is Hydraulic Body Motion Control which provides minimal body roll even with extreme cornering. 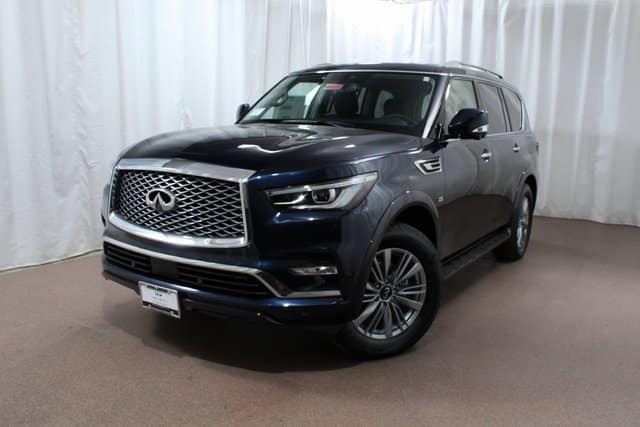 The 2019 QX80 is standard with Predictive Forward Collision Warning and Forward Emergency Braking with pedestrian detection which both provide the driver with helpful innovations for safer driving. 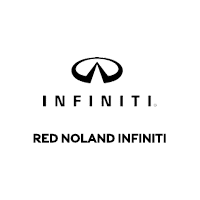 Red Noland INFINITI in Colorado Springs, Colorado has a super selection of both the 2019 INFINITI QX60 and 2019 INFINITI QX80 for you to choose from. Our friendly INFINITI expert sales staff would like to show you the many features that will make either of these award-winners a great option for you!